Under the recommendation of my colleagues, I finally visited this restaurant with them one evening. The interior is spacious and furniture is simple. The paintings on the white walls make the whole interior look like an art gallery. Very soothing. 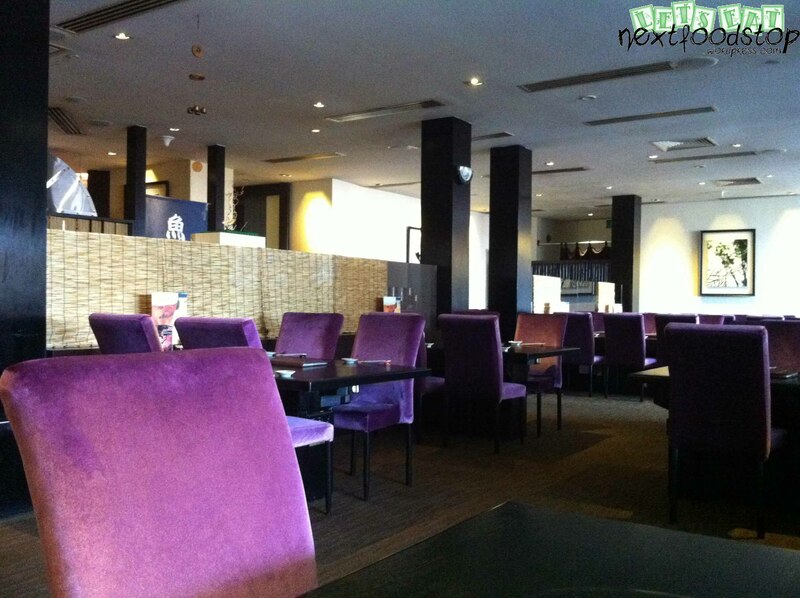 Mad Nest houses three different kitchens serving three different food of nationalities – japanese, indian and western. 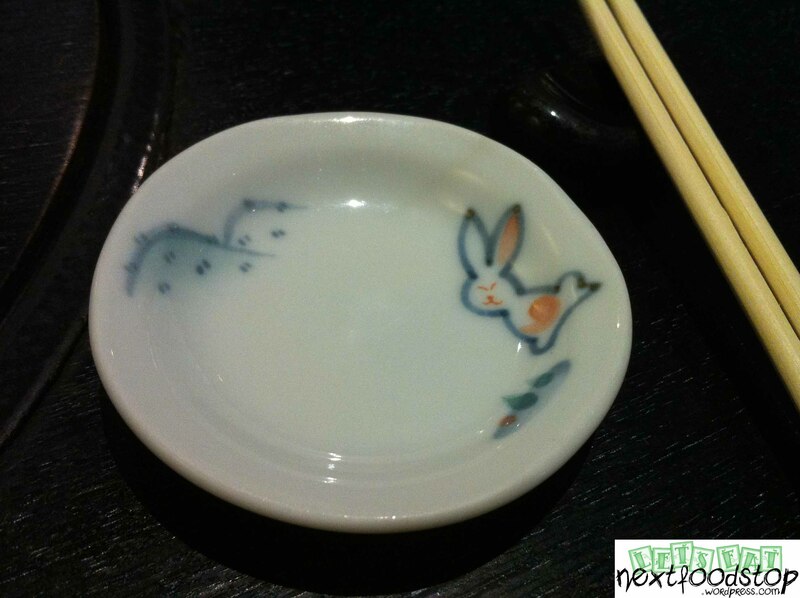 I was very impressed with all their appetisers and finger food. My favourite are the oiishii maki, tori teriyaki (yes, sound normal? try this and you will know that all other tori teriyaki you have eaten in the past were nonsense), truffle fries, and foie gras. 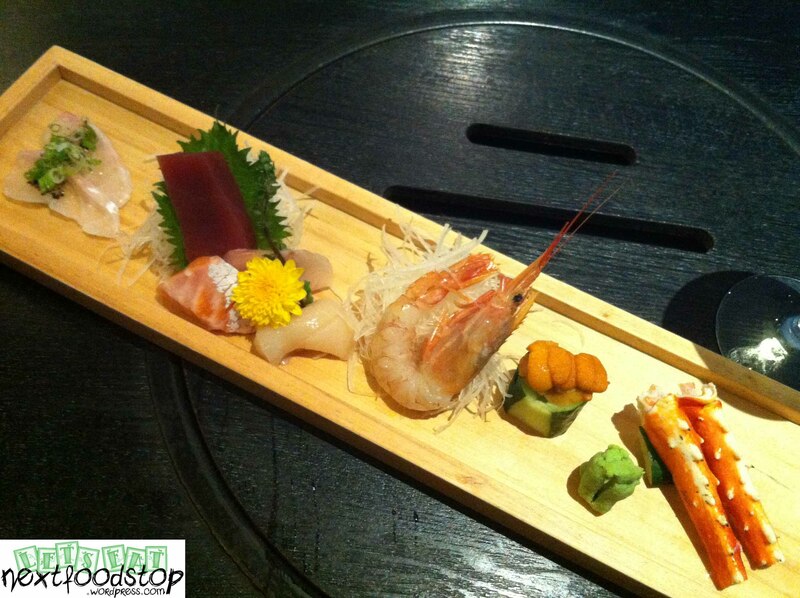 The sake sashimi is thickly-sliced and every bite is filled with happiness. The mains are so-so. Prices exclude 7% GST and 10% service charge. 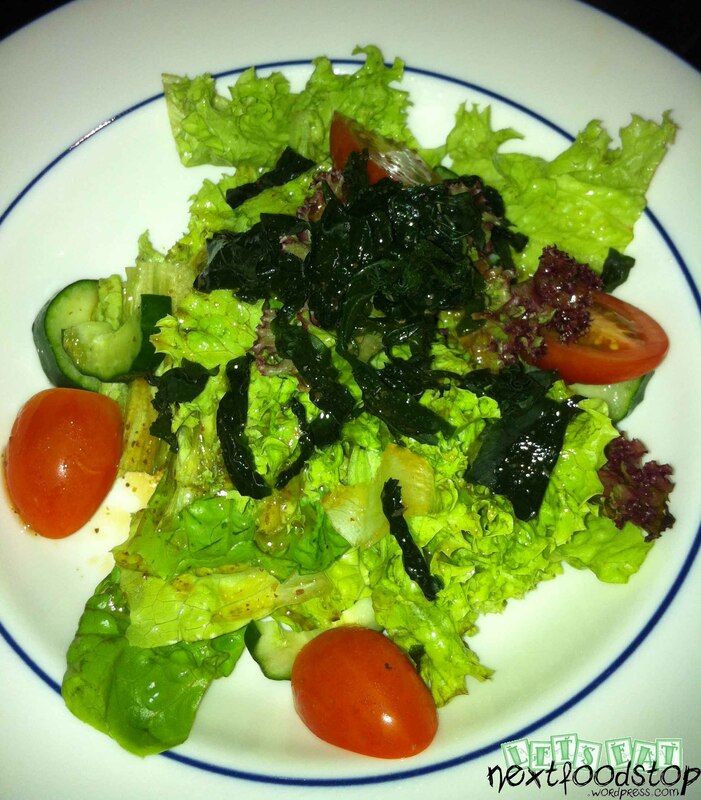 Wafu salad was very appetizing with the vinegar sauce. The salmon roe was the sweetest and tastiest that I’ve ever eaten. 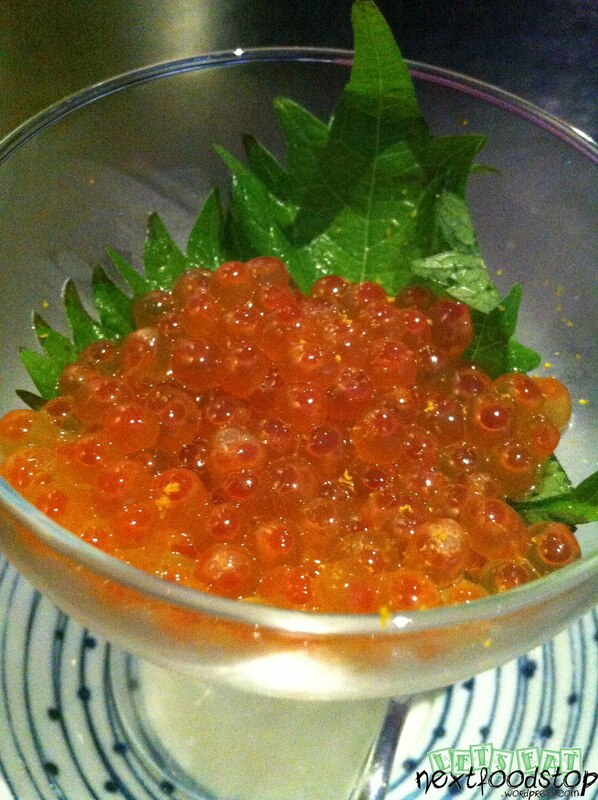 Every roe is fresh and pops with tasty roe juice when chewed. The sashimi was equally heavenly especially the king crab. 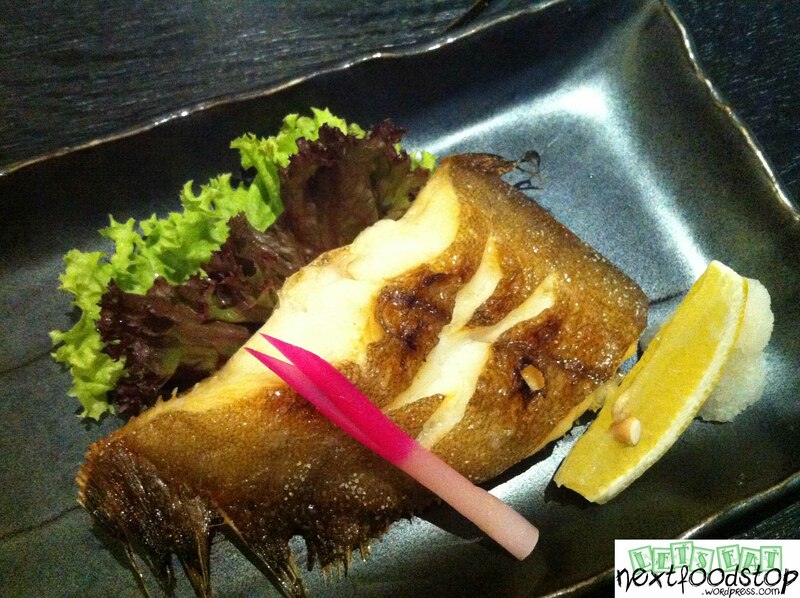 The flounder fish was tender and well-grilled unlike that from Sushi Tei. Sushi Tei’s would have burnt fins and skin. 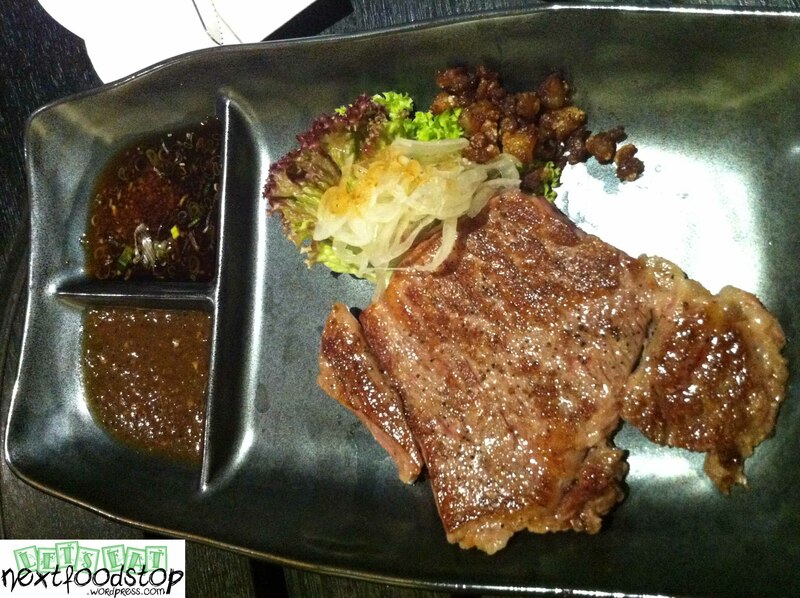 The wagyu beef comes with two lovely sauce but I rather eat it without sauce to appreciate its original taste. I ordered it medium rare and the meat melts in the mouth. 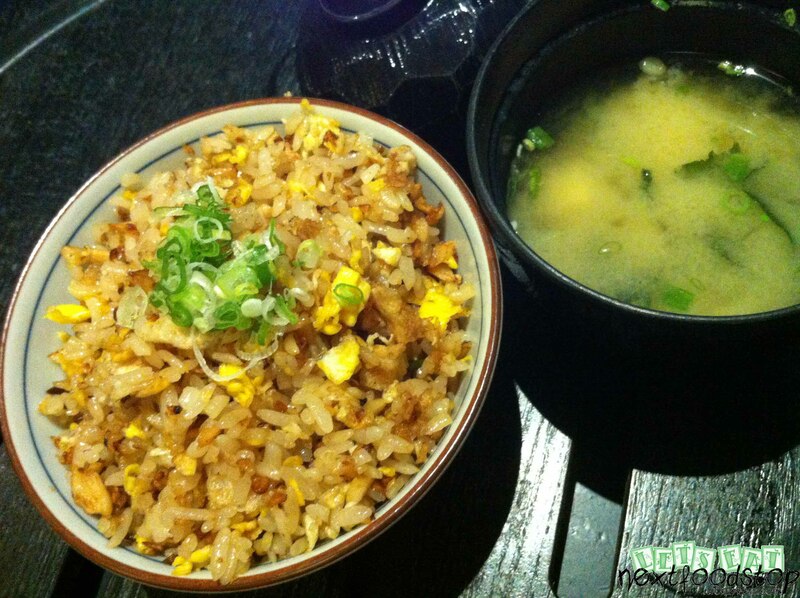 Then comes the miso soup and garlic fried rice with fragrantly-fried garlic in it. 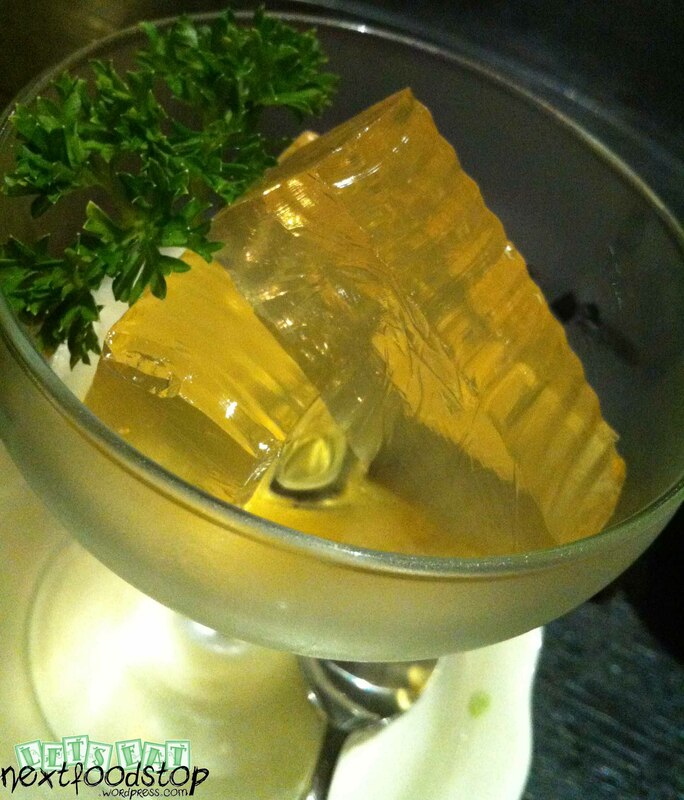 The Ume jelly was the first time I’ve ever tried and the amount of Ume liquor was concentrated. One bite of the jelly and I could feel my face turning warm. The 8-course meal ends with a hot cup of tea. 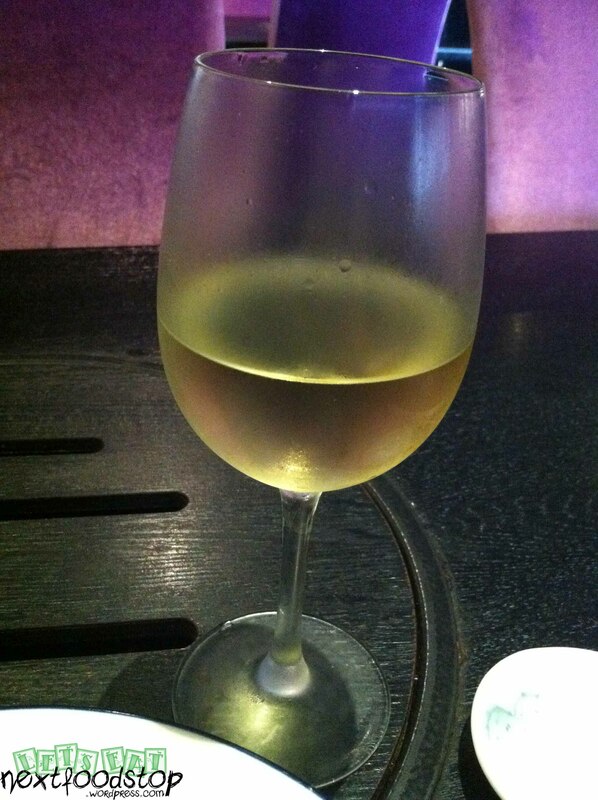 I was very full at the end of the course.